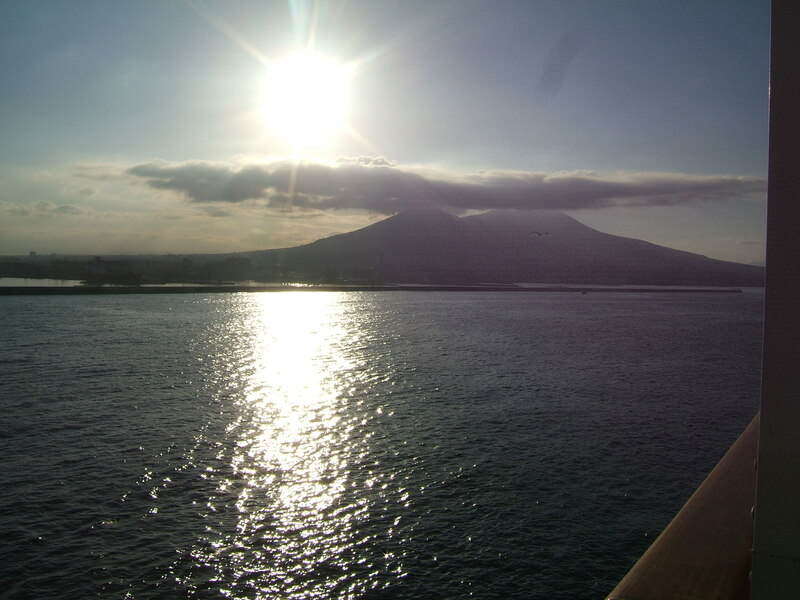 Pulling into Naples at sunrise, the first thing you notice is that Mt. Vesuvius looms ominously over of the entire area. The size of the volcano is immense. I couldn’t help but wonder what it must be like to live in its midst. Our tour for the day was “Flavors of Sorento and Pompeii” and it was a wonderful choice. 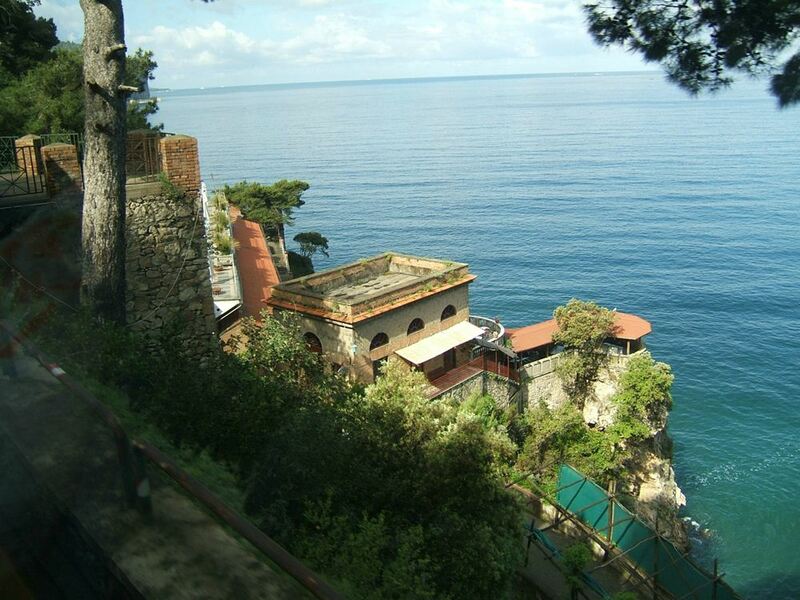 On the bus, we made a beautiful drive along the coast, stopping once or twice for pictures, to the town of Sorrento. (For the best views, get a bus seat on the right side — when facing forward). As soon as we arrived, we were taken to a shop that makes wood inlay furniture. The demonstration lasted no more than a minute and then we were free to wander the store or go outside. This was also a restroom stop where we could return to throughout the morning whenever we liked. We were then given two hours of free time. Doc and I wandered the historic district and looked in on the many shops. 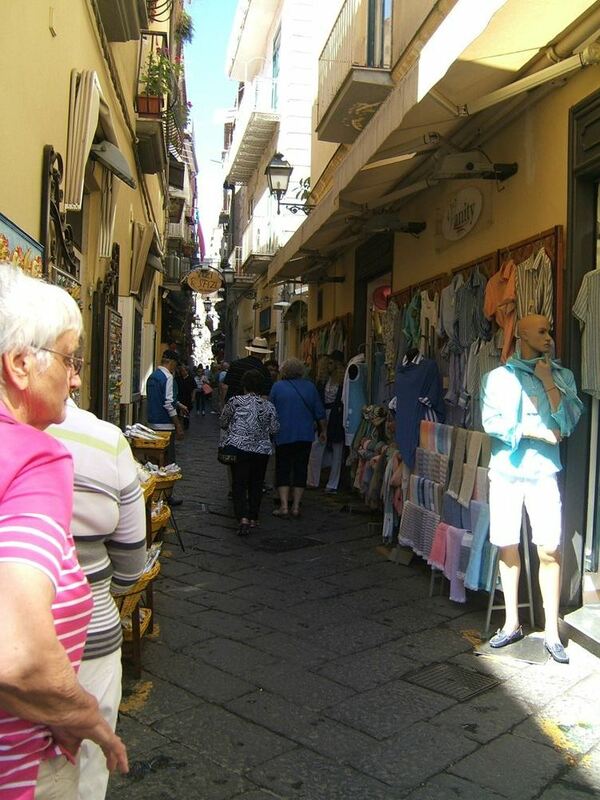 Sorrento was very charming and one of my favorite cities on the tour. We asked in one of the shops where we could find a newstand and were directed down the street where Doc was able to buy the International version of the New York Times to get some American news. It was the first news from the US we’d had since leaving home. The ship’s TV shows only the BBC news channel and another sensationalized news channel that reminded us of Fox News. We watched BBC most evenings and didn’t really mind being out of touch with American news but we were surprised that the ship didn’t at least carry one American news channel since it is almost always filled with American passengers. After our shopping excursion, we drove to a Sorrento farm for lunch. The farm was amazing. Totally self sufficient but all on only 4 acres! And not just any 4 acres, but 4 acres terraced on the side of a hill! The driveway is so narrow there was no way to get a bus down the hill so we transferred into two of the farms vans and were driven down to the restaurant. It was a comfortable place, a bit worn. Warm and friendly. Lunch consisted of cold meats, cheeses, olives, bread and wine followed by a rather boring pasta dish with tomato sauce and ricotta cheese. For dessert we had two cream puffs and a sampling of limoncello. Everything was very good. We happened to sit next to a Japanese couple whom we had seen on several of our other bus trips but had never had a chance to talk to. Seated next to one another we finally had a chance to talk and discovered that they have lived in Utah for many years and live just a mile or so from Doc’s oldest son! 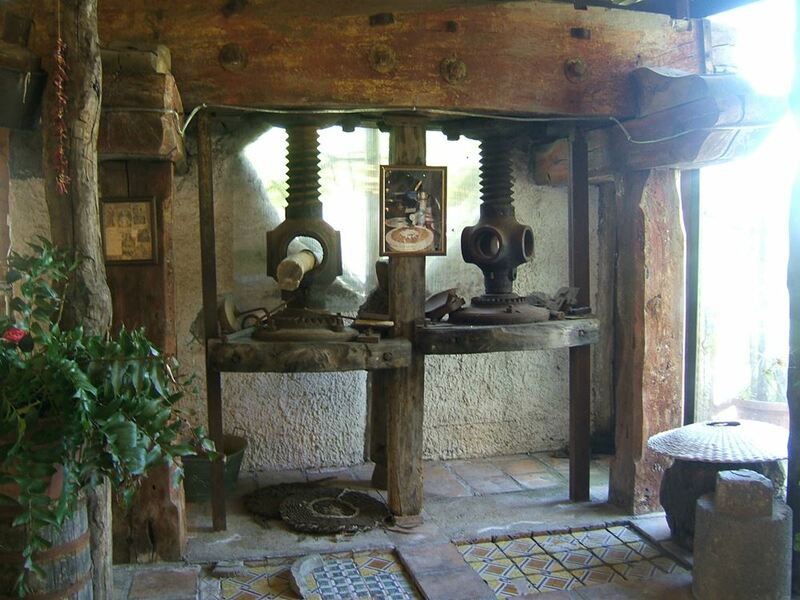 After lunch we were shown how Mozzerella cheese is made and how the olive press works. I wished these demonstrations had been a bit more involved but for what they were, they were very interesting. 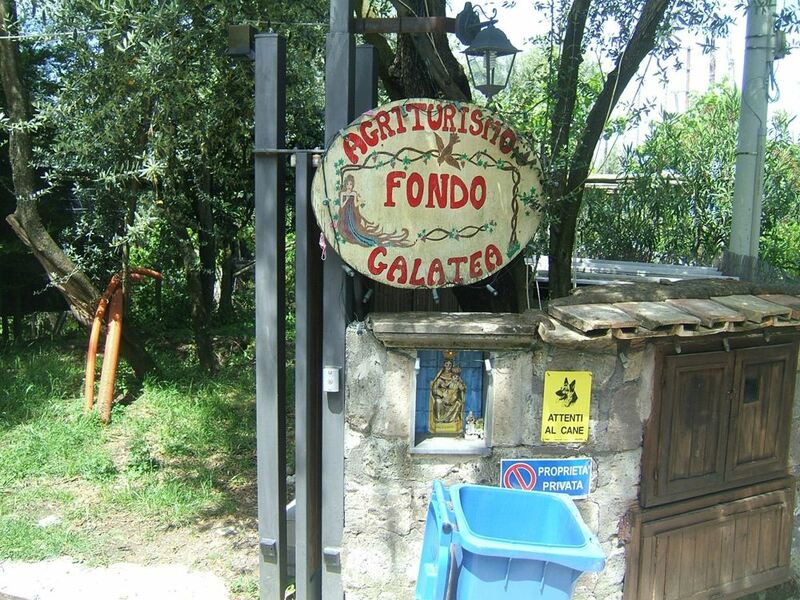 We then walked to the gift shop where the host told us how the limoncello is made. The gift shop sold jams and other food items made on the farm. 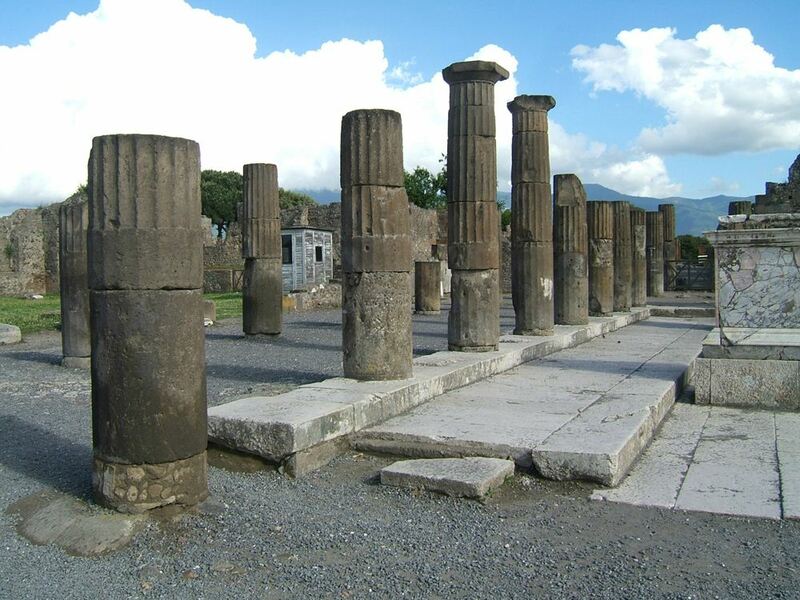 From lunch we were transported back to the bus on the main road and we drove to Pompeii. We were first taken to a Cameo shop and spent a good half hour there as our group browsed the shop. 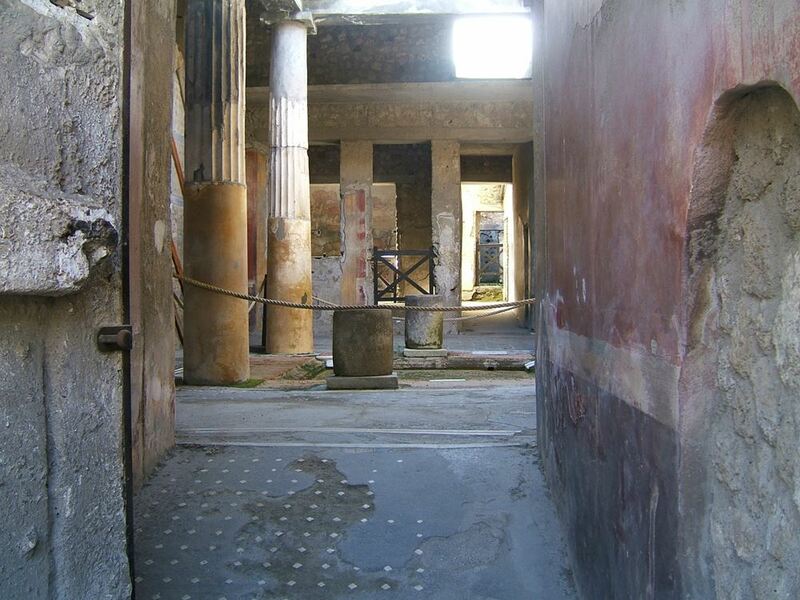 It was a waste of precious tour time and even the chance to use the restrooms wasn’t needed as there were restrooms across the street at Pompeii. Finally, the tour guy gathered us together again and got the tour underway. 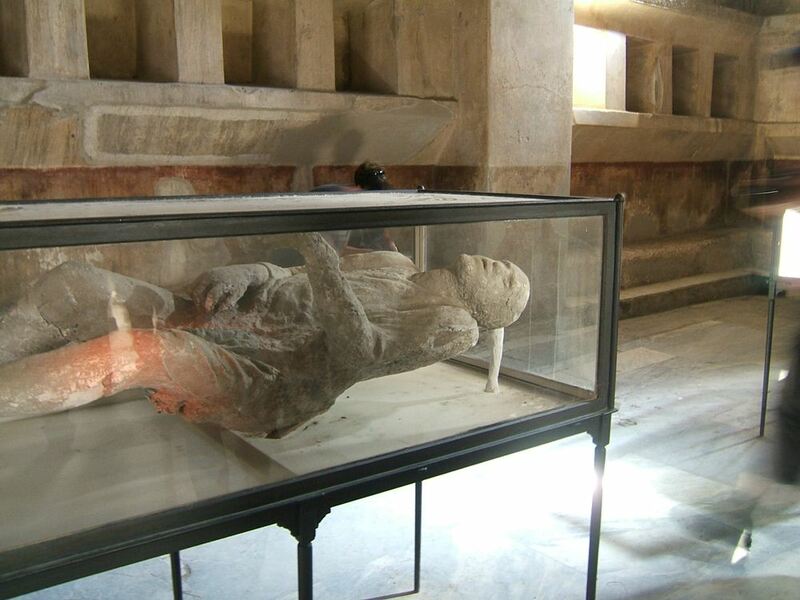 The tour of Pompeii was good but we only saw a small section of it and I think we missed a lot of the sites that are usually considered the highlights. 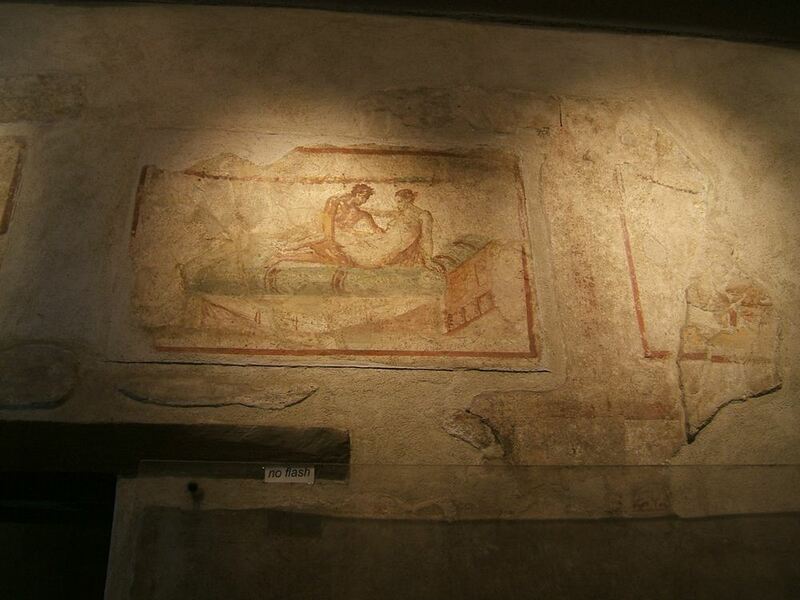 We did see a number of places including the brothel with its frescoed walls and stone slab beds but we could have spent another hour here and I’d have felt more satisfied. I also wish we’d had some time to wander a little on our own (the wasted time at the Cameo store would have sufficed). Pompeii is a magnificent site and I was amazed by just how in tact it is. You need a good guide book to read both before and after your tour if you really want to understand the magnitude of what you are seeing. It also helps to watch one or two documentaries about Pompeii (there are a couple of good ones on Netflix) before you leave home too. Then it was back to the ship for another enjoyable evening. Next stop: Rome.